Our next stop was Aillwee Cave in the Burren, where we booked a tour with a funny guide with the most soothing voice I have ever heard. The tour was really interesting and his voice made the whole experience a very relaxing one. Although random, I highly recommend visiting Aillwee Cave! Finally we arrived at the famous Cliffs of Moher. It was cold, overcast and much windier than my last visit but I enjoyed the subtle change in scenery. The cliffs felt even more wild and precarious when we left the marked viewing area to walk along the edge. Why do we do this to ourselves??? This time we walked all the way to the far right edge of the cliffs, saying hello to the cows along the way. I’ll let the pictures do the rest of the talking. Because WOW. Of course my sister and Stephen are daredevils with no sense of self-preservation so they literally laid down with their heads dangling off the edge. My parents and I enjoyed the view from afar, thank you very much. All in all it was a great day at the Cliffs of Moher. On the way back to Galway we stopped at some village and enjoyed a really lovely dinner at a local restaurant. There’s nothing like crazy heights and gloomy weather to make you crave Guinness and seafood. Consider this the theme of our entire Ireland vacation. 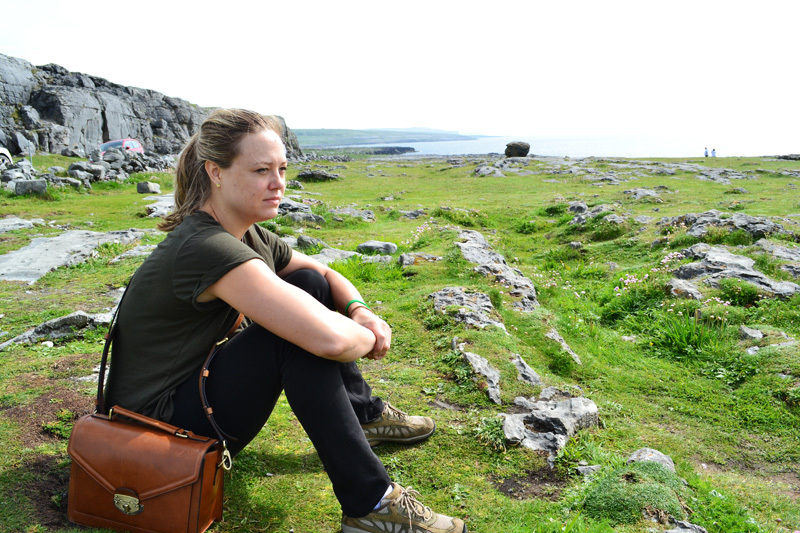 Ireland Day 3: Biking the Aran Islands… Again!